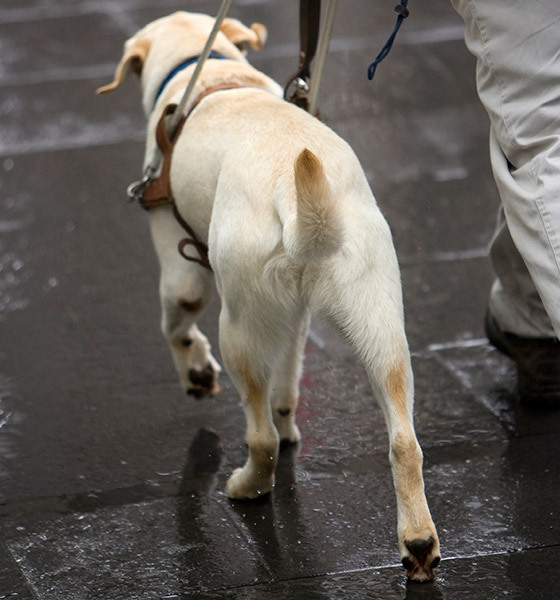 Guide Dogs Victoria is a not-for-profit organisation run to benefit vision impaired Victorians. They breed Guide Dogs; raising and training them from when they are puppies, and then providing them to the visually impaired at no cost. It’s a costly, but important job. For this reason, they require generous donations from the public to continue their work in our community. Before using SMS, Guide Dogs Victoria contacted donors through the channels of email and phone calling. The problem with only using these mediums was that the delay in communication created a barrier in fundraising. They also felt that these mediums were not consistent with the innovative and modern nature of the organisation. They were looking for something more suitable to help raise money for the cause. So, with innovation and speed being two pain points, Guide Dogs Victoria were looking for a medium that solved these issues. SMS has an average open rate of 98% compared to 22% for emails, so it was clear that this was a great way to ensure donor engagement. With SMS decided upon, they were then pointed in the direction of Esendex. Recommended to them by Marketsoft, a data cleansing organisation that does a lot of work with charity groups. Marketsoft suggested Esendex, because of our excellent service and use of SalesForce, a tool they also work with. Guide Dogs Victoria began using Echo, our Web SMS service, in November to contact donors from their database. They used a Sender ID to make sure it was clear who they were, which donors reacted well to. They currently use a Virtual Mobile Number to allow for opt outs, which is required by the SPAM act, but are looking for ways to use this for more interactive communication with stakeholders. Since implementing SMS, Guide Dogs Victoria has been able to contact over 16,000 donors easily and efficiently. Sometimes they send SMS campaigns to their entire mobile database, other times they specify campaigns for more regular donors. If the SMS campaign is about promoting products, then the audience may be varied as well. Echo gives the organisation the flexibility to contact various groups of donors simultaneously. “The SMS donation has really allowed us to communicate more often and in a cheaper and quicker way,” he added. “The great thing about using the SMS tool is that it’s very quick to implement, and you see it working straight away. It’s helped so much!” Fundraising Manager, Alex Cross said. SMS has completed a comprehensive donor communication strategy, which involves contact through multiple mediums to build close relationships with donors. The addition of text messaging has hastened the process of collecting donations It has proven helpful in maintaining relationships with regular donors, as well as nurturing those with new donors. Guide Dogs Victoria will be looking for new ways to use our service to develop SMS strategies. They also want to expand their use of SMS to contact a wider variety of stakeholders, including volunteers. If you want to take advantage of the many benefits SMS has to offer, give us a call on 1300 764 946 and talk to one of our SMS experts.